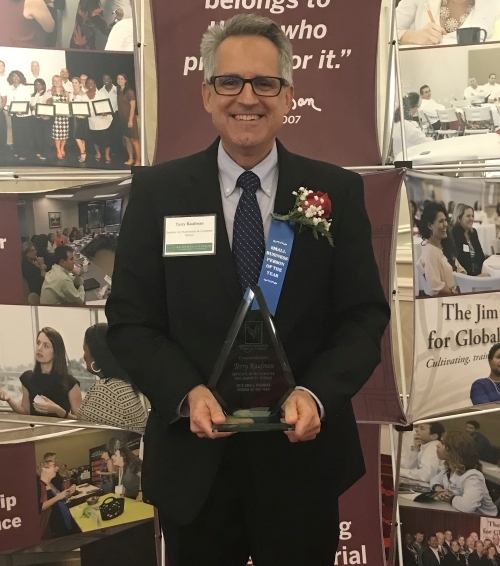 In honor of Small Business Week, the Greater Plantation Chamber of Commerce named IMACS President Terry Kaufman as the 2018 Small Business Person of the Year! Terry Kaufman, President of the Institute for Mathematics and Computer Science (IMACS), co-founded IMACS in 1993 to provide talented students with an outlet for reaching their highest potential in math, computer science and logical reasoning. Over the past 25 years, IMACS has grown steadily from just 37 students in Plantation to over 1,000 students across South Florida and more than 3,500 students online. Terry is most proud of the fact that IMACS regularly produces graduates who go on to leading universities such as Stanford, Harvard and MIT. Having graduated with a masters degrees in Mathematics from Johns Hopkins University followed by a successful high-tech career, including 10 years in software development and management at IBM, Terry is well aware of the creative thinking and problem-solving skills that top universities and cutting-edge companies look for and strives to develop these skills in every IMACS student. IMACS programs are designed to expand your child's mind through the development of critical thinking, logic and reasoning skills. IMACS offers after-school and weekend enrichment classes, fun-filled summer camps, homeschool enrichment classes, and online courses. 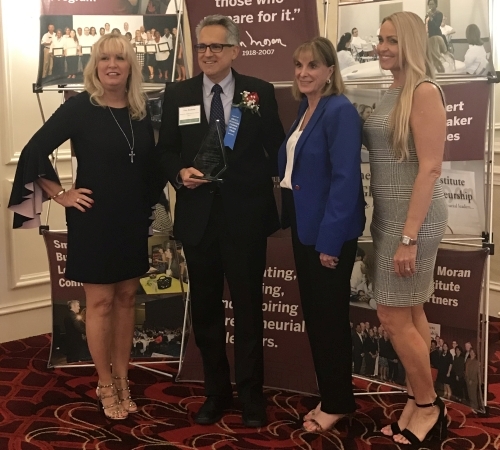 From left to right: Siobhan Edwards, Executive Director of the Greater Plantation Chamber of Commerce; Terry Kaufman; Mayor Diane Veltri Bendekovic, City of Plantation; and Jonnine Porter, Member of the Greater Plantation Chamber of Commerce Executive Board of Directors.